The Real Absinthe Blog: The Absinthiades: the Absinthe "Oscars"
The drinks business has helped to create a number of different bodies that award prizes each year for a growing number of categories. The International Wine and Spirit Competition is one of the most famous and highly regarded organisations in this sector. They judge many hundreds of different categories with a who's who of the UK wine and spirits trade included among the judges. 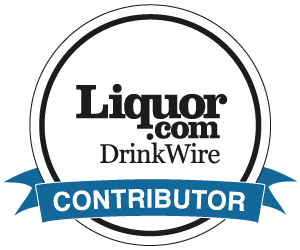 In the USA, the San Francisco World Spirits Competition awards are highly regarded, while the Chicago-based Beverage Testing Institute also has its supporters with its database of over 1400 spirits (including 290 vodkas and just 2 absinthes). Personally I am not aware whether the judges in all these competitions and tastings really know their absinthes, or maybe even how they should be served, so I remain just a little bit sceptical about some of the scores and awards given by some of these organisations. Reading this thread on the Wormwood Society, it seems that others are even more sceptical. The Absinthiades awards three Golden Spoon prizes: two for distilled absinthes, and one for macerated absinthe. Some absinthe lovers may be surprised by some of these results, but the judges are remarkably consistent here. It is interesting to note that La Clandestine 55%, otherwise known as Recette Marianne, won the Golden Spoon for Claude-Alain Bugnon for the fourth consecutive year. This recipe is only very slightly different from the original La Clandestine and is made specifically for the French market where the regulations on fenchone content are more restrictive than elsewhere. 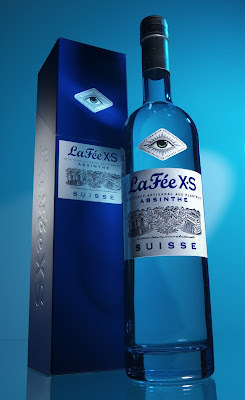 And La Fée XS Suisse won a Golden Spoon for the second consecutive year. Two fine absinthes, both produced in the birthplace of absinthe in Couvet, Switzerland. I suppose that the French may be feeling a little green that the Swiss "bleues" keep winning their top absinthe awards. What do my readers think? Well, I was a little surprised by their choices, but even so I, yes I agree that the Absinthiades awards are going to be more "accurate" in the minds of absintheurs. I was downright SHOCKED to see the standard (not the XS variety) La Fee win a gold medal at the SFWSC. As far as the la bleus stealing the show...well, maybe the judges were just in the mood for something a little lighter that day, who knows? I was very disappointed that Obsello wasn't even on the charts, but then again I'm not sure what brands actually entered the competition. If anyone knows what brands were actually submitted for judging, by all means let us know! All the ones that entered are shown. It is quite enough for a judge to look at the ones in each jury anyway - more would be impossible! Yes, I suppose you're right...even with only the absinthe entered they must have been quite tipsy by the end of the day!